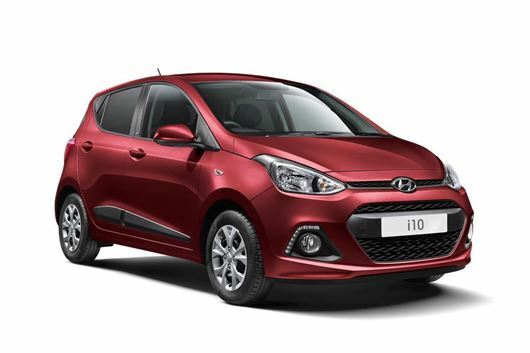 Hyundai has announced special “GO!” editions of the i10 and i20, to celebrate its sponsorship of the upcoming Euro 2016 football tournament, which kicks off in France in June 2016. The GO! models will be limited to 2000 units in total, available in a choice of red, white or blue like the French national flag. The i10 Go! is based on the SE trim level. It comes with a black upholstery, finished with blue and white stitching, plus it comes with Bluetooth, voice recognition, steering wheel-mounted controls, LED running lights and Go! badges. The i10 Go! is limited to 1250 units. The i20 Go! has auto lights, auto wipers, projector headlights and unique interior details, plus similar exterior detailing to the i10 Go! Numbers are limited to 750. Both Go! special editions are available now.